Do your pets do anything interesting and / or unique? Maybe even… talk and blog? In Chloe James’ life, it’s just an everyday, normal thing to see her dog, Stan talking and telling everyone what he really feels. Without a doubt, Disney Channel’s “Dog With A Blog” was an absolute sensation amongst all viewers and one person who instantly became a fan-favorite with her incredible acting skills, her adorable and bubbly personality and her ability to make everyone laugh with all of the great episodes of the show is the one, the only, Francesca Capaldi. A young lady who got bit by the acting bug at a very young age, the marvelous Francesca Capaldi has always had a great passion for acting and ever since the beginning, she was always someone to remember and someone that caught your attention instantaneously in every project she takes part in. In addition to “Dog With A Blog”, Francesca Capaldi has also exhibited her extraordinary talent in “The Peanuts Movie”, “Jessie”, and more and we definitely all look forward to what the bright future has in store for this beautiful actress. 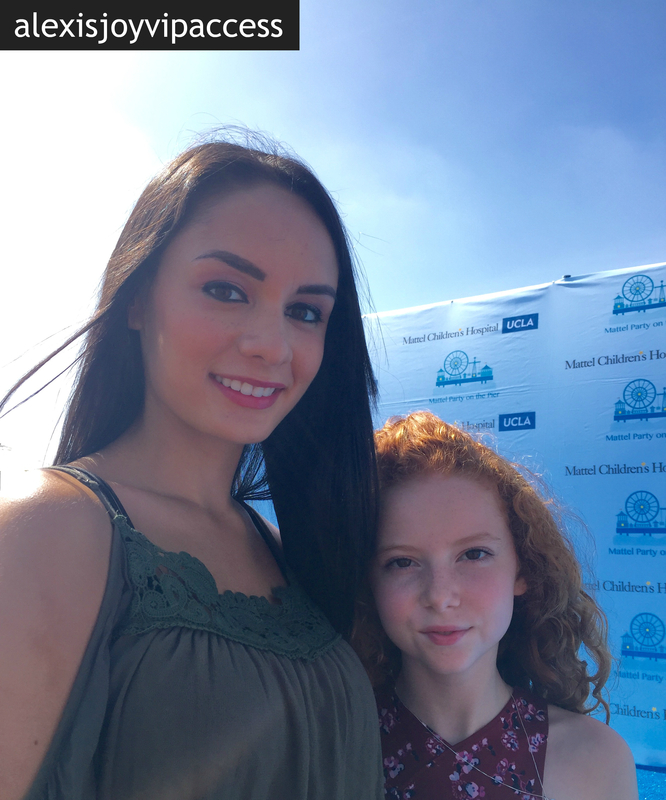 I, Alexisjoyvipaccess had the great honor of covering the magnificent Mattel Party on the Pier and had a fantastic time interviewing the lovely Francesca Capaldi at the event. The wonderful Francesca Capaldi dished exclusively to Alexisjoyvipaccess all about what it was like working on set of “Dog With A Blog”, what it was like working with Stan The Dog and so much more only in our VIPAccessEXCLUSIVE interview! The exceptional Francesca Capaldi even spills on what her favorite episode is that she has filmed for “Dog With A Blog” – find out her answer in our VIPAccessEXCLUSIVE interview below. Thanks for the fun interview, Francesca! Check out my VIPAccessEXCLUSIVE interview with the multi-talented Francesca Capaldi at the Mattel Party on the Pier below! The Mattel Party on the Pier was back again at the iconic Santa Monica Pier for another fun-filled day perfect for families and friends to have attended. With all proceeds benefitting the Mattel Children’s Hospital UCLA, attendees were able to meet and greet with some of their favorite celebrities and engage in some super fun activities! The Mattel Party on the Pier has and continues to be such an extraordinary event – a great event for a great cause, what could be better?! Previous VIPAccessEXCLUSIVE: Paris Smith Updated Interview With Alexisjoyvipaccess At Mattel’s Party On The Pier! Next VIPAccessEXCLUSIVE: Aidan Alexander Updated Interview With Alexisjoyvipaccess At Mattel’s Party On The Pier!